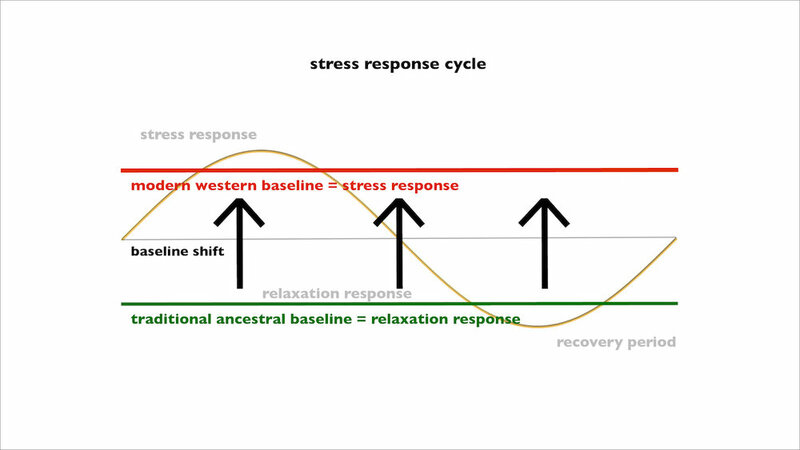 For most modern people, the stress response has become the new normal. As a culture we are busy, aggressive, anxious, dissociated, distracted, out-of-balance, and trying to fill an existential hunger by shopping. Most people don’t feel well. We observe that mainstream modern western society is experiencing an absence of meaning and wellbeing that manifests itself through unprecedented levels of normalized stress, illness both physical and emotional, existential loss of meaning, interpersonal alienation, systemic oppression, and ecological crisis. 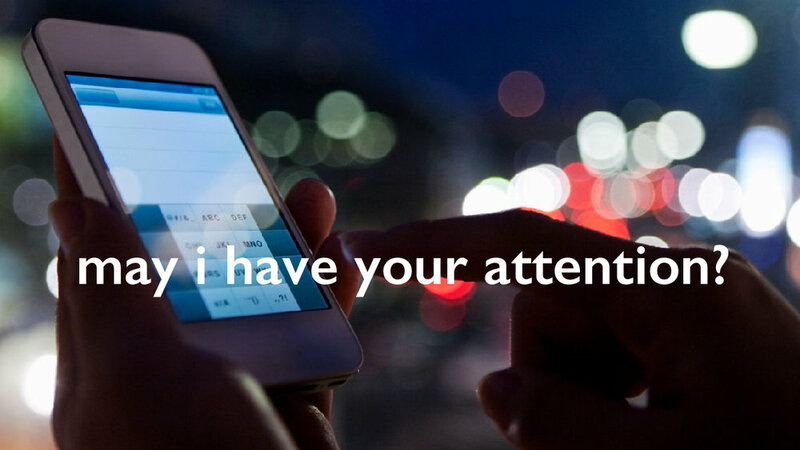 Although humans are more technologically connected than ever before, many of us, and many people in the world, are less connected to sources of meaning and regulation than we have ever been in our evolutionary history. This is largely a physiological problem. In 20 years of multi-disciplinary study on this topic with cutting-edge researchers in neuroscience, we have concluded that this is because of deviation from an ancestral baseline. For 99% of human history, the way that we lived was all about connection. When cultures prioritize connection, they help people bring online and stabilize their CONNECTION SYSTEMS. This is a physiological system that brings us into a state of functional calm and relationship. 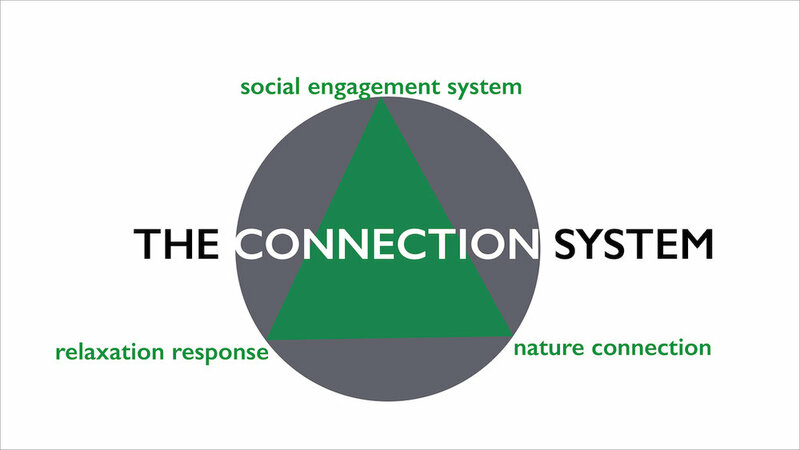 To paraphrase nature connection teacher Jon Young, the role of culture is to bring online and stabilize connection physiology. But now the cultural baseline has shifted from connection to stimulation. We now have a culture whose values are being shaped by the physiology of stress rather than the physiology of connection. The good news is that this can be changed. In indigenous and ancestral societies, when through stress or threat or trauma individuals got pushed out of connection, there existed a body of RESTORATIVE PRACTICES to help them come back to this baseline in connection and relationship- with the present moment, with themselves, with eachother, and with the living world. Our signature offering for individuals is a cohort-based deep experiential/ embodied learning process with in-person and virtual learning components. For organizations we offer analogous employee training for helping professionals (in medicine, mental health, government, non-profits) in self-care, transforming vicarious trauma and secondary traumatic stress. We are directing and producing an educational film series, have written multiple books, and are developing a line of learning toys for children. We hope we can be useful to you. Our organization is an impact-focused social enterprise with a triple bottom line based in Northern California. We are pursuing B-Corp certification. Our advisors are a brilliant team of scientists, researchers, mindfulness teachers, and creative types. Thanks for taking the time to learn about our work.